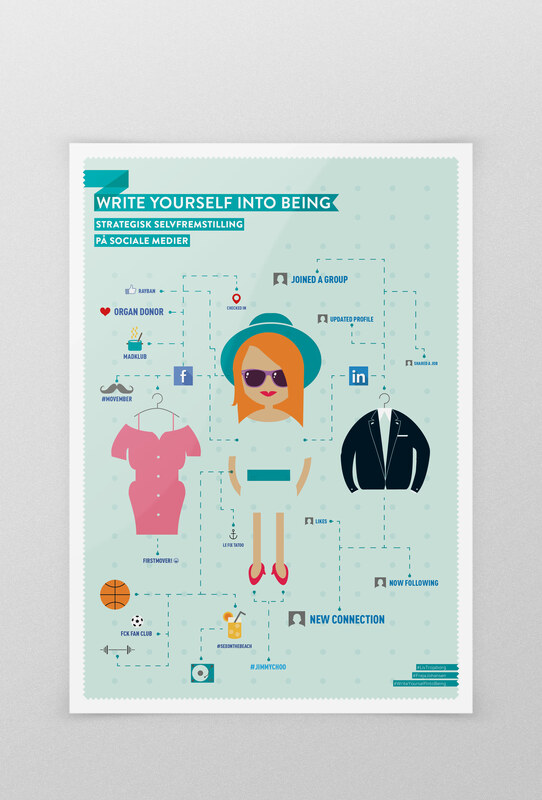 I designed this cover for a master’s thesis on how young people use social media as a strategic self promotional tool. The concept I chose to go with, evolves around some of the key findings on how the target group use different social media apps for different promotion purposes. Both students received their Master’s Degree with an A+!